so one of my personal project this year is to learn to cook chicken curry. 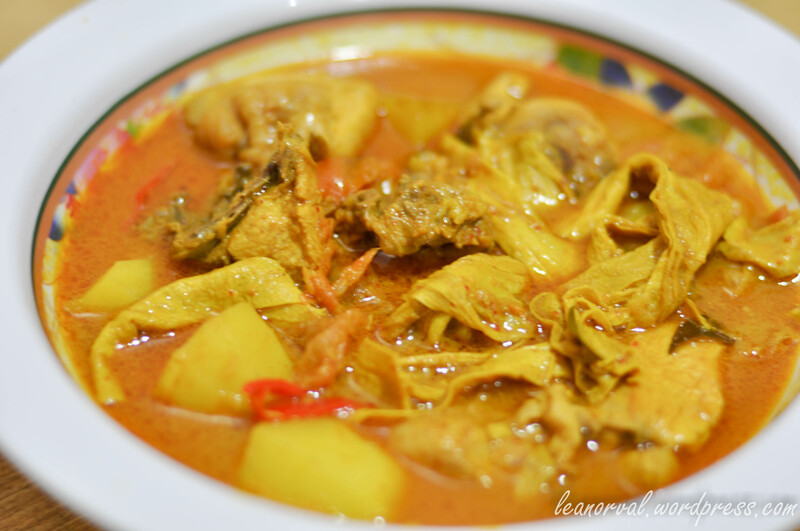 reason: i love chicken curry! especially my mum’s. The Mother cooked the best chicken curry everrrr. it’s so good that family friends will specially order from her when there’s small family party or when there’s pot luck or when i feel like eating :p but being an ignorant daughter i am, i never bother to learn or even look at how she cooked it. i only help her to… eat. so, since i’m out of comfy home-cooked food. i’ll have to learn everything my own. huarrrghh!! this is when you say ‘Thank God for Internet! !’ so last Fri i googled the recipe and chose the simplest to follow. so let’s start with the ingredients first. hmmm… i think that’s about it. you may also add in 2 stalks of lemon grass for that extra aroma. 1. grind or blend all ingredients A together. 2. on a hot pan, heat up 100ml of cooking oil and fry Ingredients A until golden and aromatic. 3. add in Ingredients B into the pan ans stir together. ahh… the aroma is now starting to fill your entire kitchen. 4. add in the curry paste and chilli powder and then stir some more until everything is well mixed. be careful not to do that too long or else it will burn. 5. add in the coconut milk and stir well for 1 minute. 6. put in the chicken, potatoes and then the already soft dry tofu carefully into the mixture. mix well. 7. let it simmer for 5 minutes. 8. add in the tamarind juice. 9. leave to simmer for another 15-20 minutes. and this is how mine turned out like. uishh…terus lapar…!! rasa mo deep roti canai in it….